Regional partners including the Franklin County Industrial Development Corporation, Workforce Investment Board, Northwest Regional Planning Commission, and the Franklin County Regional Chamber of Commerce teamed up with Denise Smith of Soup to Nuts Logistics to organize an incredible event. They got tremendous support from area sponsors and fantastic participation from regional vendors. The essence of “Historic Market Day on the Dock of the Bay” fully embodied everything we had hoped would occur around this tour. 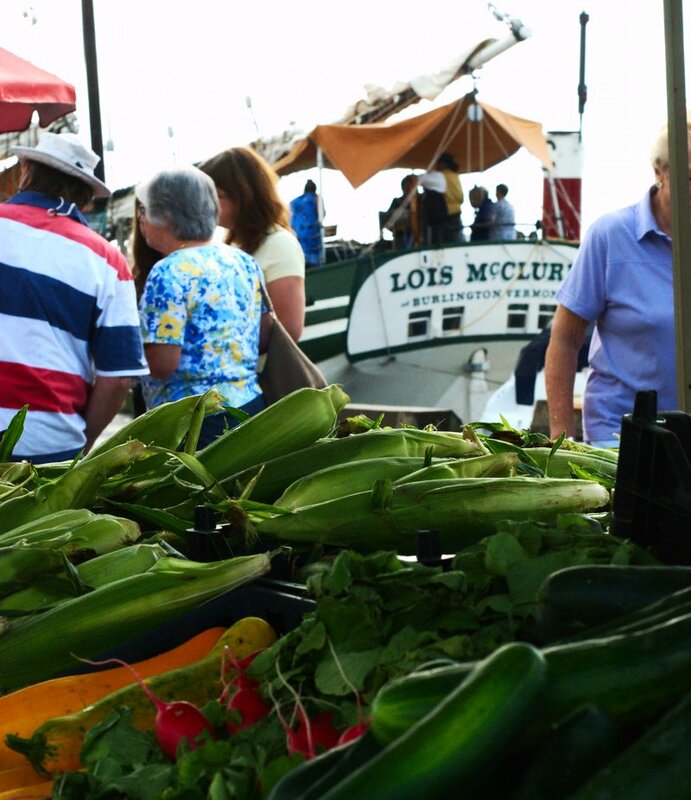 They invited local farmers, food producers, artisans, craftspeople, water quality, and fisheries groups. There was a pony, calf, and even some baby goats. 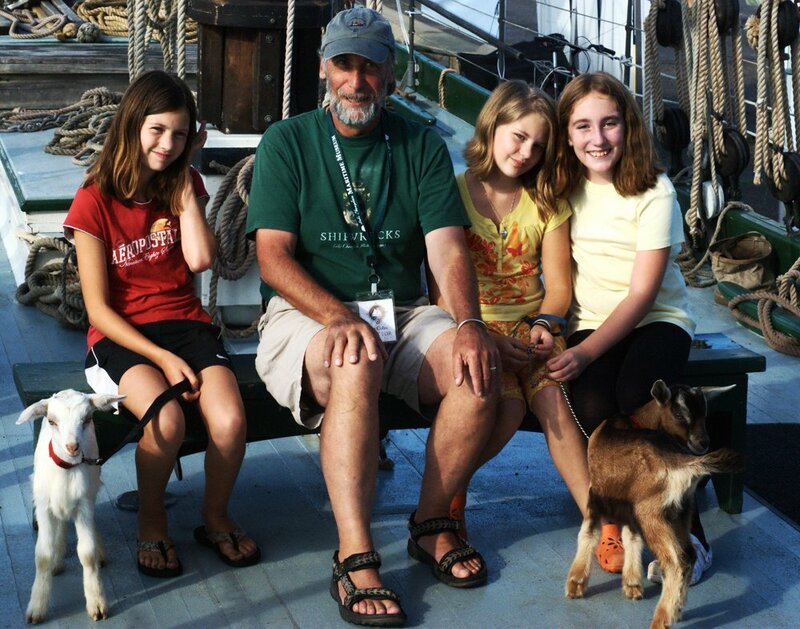 I’m pleased to announce that these were the first two goats to have ever boarded the Lois McClure! I want to share one excerpt from a larger thank you we received from Denise Smith regarding the event. She certainly makes us feel validated in what we do. Our deepest gratitude goes to the Lois McClure Schooner Crew and Lake Champlain Maritime Museum Staff for coming to our Bay and for sharing this wonderful treasure of historic significance to our region with the people of St. Albans and all of the communities along the Lake. The work that you do is of great importance and ties us all together thru the interwoven history of our Lake and of our shared use of land, waterways and forests. 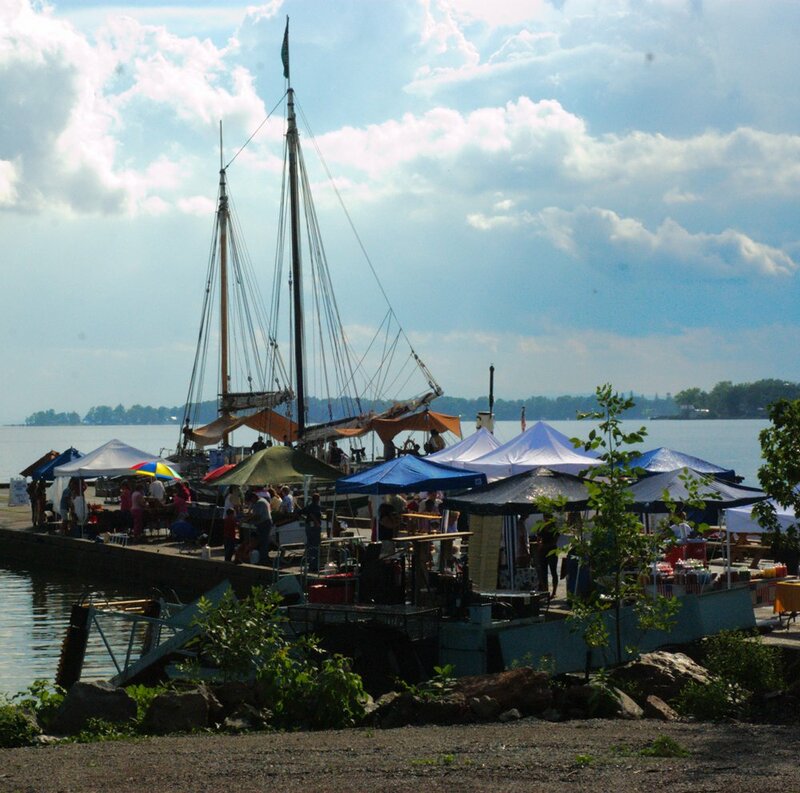 Without the telling of this story and of the historic interpretation of your “Floating Museum”, we would not understand the cultural, economic and sociological impact Lake Champlain has and continues to have on our Region and in our community. Thank you Denise, the regional partners, sponsors, and vendors for coming together to make the perfect visit. It was pure magic, perfect synergy, and a great Farm, Forest and Fishery’s event in a community that made us feel like we were coming home.